Award winning Artist and Designer. Co Founder of Lokofoto - wannabe Photographer. 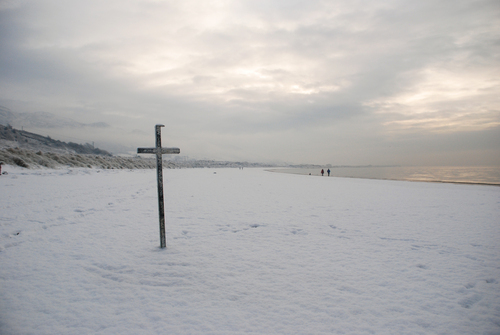 The cross for the floatation ring on Lisfannon beach cuts a lonely figure during the depth of Irish Winter. This was Christmas day a few hours after the brave swimmers took to the Swilly for the annual Christmas Day swim.